Learn, grow and reach your goals with industry-leading speakers and materials! What’s better than seeing the rockstars of the handcrafted soap and cosmetic industry in person? Implementing their strategies and advice, of course! With Speaker Handouts, you will always have a speaker-produced material to refer back to when you need it the most. Speakers have compiled handouts with important points from their presentations and helpful materials to help you use the tools they give to you during their talk. Downloading these handouts from the HSCG website is easy and fast; simply click the gold button below to be redirected to the HSCG Speaker Handouts page and click on the handout you’d like. Please note: you must be logged in to view and download handouts. All registered attendees from both organizations have been assigned credentials, regardless of membership. If you are unsure of your login credentials for the HSCG site, please email mbrservices@soapguild.org for assistance. https://hbbg.ca/wp-content/uploads/2016/03/hbbg-logo2.jpg 0 0 Louise Vargas https://hbbg.ca/wp-content/uploads/2016/03/hbbg-logo2.jpg Louise Vargas2018-05-22 17:27:202018-05-22 17:27:20Speaker Handouts now available! The purpose of this notice is to inform you of substances that Health Canada is currently reviewing and that may be added to the Cosmetic Ingredient Hotlist (Hotlist). We invite you to provide any safety information or other considerations about these substances to Health Canada by August 11, 2017. Please Note: The information in this notice is not currently reflected on the cosmetics section of canada.ca. The website is being revised and will be updated in the coming months. Pigment Red 4: Pigment Red 4 is being considered for addition to the list of restricted substances due to potential health concerns at previously reported concentration levels, as assessed by the Government of Canada’s Chemicals Management Plan (CMP) under the Canadian Environmental Protection Act, 1999 (CEPA 1999). As per the information available to Health Canada, concentration levels currently being used in product formulations are below the proposed limit of 3%. 1. Chloramine T: An amendment is being considered to add related compounds to this entry. These compounds are currently prohibited under the Sulfonamides entry. 2. Oleandrin: An amendment is being considered to expand this entry to Nerium oleander, its extracts and glycosides. 1. Boric Acid: An amendment to the restriction is being considered due to health concerns, as assessed by the Government of Canada’s CMP under CEPA 1999. A prohibition in products for use on or around mucous membranes and in products intended for children is proposed. Cautionary statements will be revised accordingly. 2. Methylisothiazolinone: Due to risk of sensitization, we are considering prohibiting use of Methylisothiazolinone in leave-on products and reducing the maximum allowed concentration in rinse-off products to 0.0015%, similar to the current restriction on the combination of Methylisothiazolinone and Methylchloroisothiazolinone. 3. Methylisothiazolinone / Methylchloroisothiazolinone, in combination: An amendment to the restriction is being considered to clarify that the use of the mixture of Methylchloroisothiazolinone and Methylisothiazolinone cannot be used in the same product as Methylisothiazolinone alone. In addition to the above changes, existing ingredient entries will be amended to include new synonyms, Chemical Abstract Service Registry (CAS) numbers as well as other minor corrections. The Government of Canada is committed to providing the Canadian public and stakeholders with the opportunity to participate in the development of regulatory initiatives. 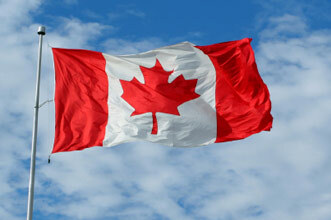 Health Canada invites you to submit your comments on the proposed updates to the Hotlist. Please provide information, evidence and comments no later than August 11, 2017. Please refer to the Consumer Product Safety section of the Canada.ca website for up-to-date information. You may also subscribe to the cosmetics mailing list to receive the latest news and information about Health Canada’s efforts in the area of cosmetics. The Cosmetic Ingredient Hotlist is an administrative tool that Health Canada uses to communicate to manufacturers and others that certain substances, when present in a cosmetic, may contravene (a) the general prohibition found in section 16 of the Food and Drugs Act (FDA) or (b) a provision of the Cosmetic Regulations (CR). In addition, the Hotlist communicates that certain substances, with no known purpose in a cosmetic formulation, make it unlikely for the product to meet the definition of a cosmetic under the FDA. Proposed changes to the Hotlist are put forward as needed. The last update to the Hotlist was in December 2015. Conclusions are based on weight of evidence. Updates take into account and reflect information gathered through a review of recognized scientific journals and other scientific evidence; decisions rendered under the CMP; market survey data, as well as other actions, opinions or decisions made by international counterparts and expert panel groups, etc. 1. Notice to Stakeholders: This notice provides information on the substances that Health Canada is currently reviewing that may be included in the next Hotlist update. This pre-consultation will be sent to stakeholders approximately three months prior to the consultation on proposed updates to the Hotlist (see below). During this time, stakeholders will be invited to provide any safety information or other considerations about the proposed substances to Health Canada. 2. Consultation: The proposed updates to the Hotlist will be posted on Health Canada’s website. 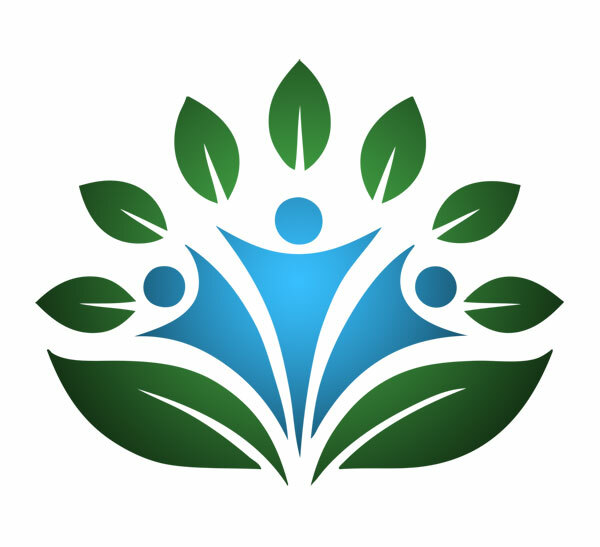 Feedback from external stakeholders will be solicited during a 60 day comment period. The consultation document could include information on specific concentration limits (if applicable), suggested wording for cautionary labelling (if applicable), or if the substance is proposed to be prohibited (altogether or for a certain category of products). Prior to publication of the final revised Hotlist, Health Canada will respond to comments received during the consultation. 3. Notice of Decision and Hotlist Update: Approximately five months after the end of the consultation, the final revised Hotlist will be posted on the Consumer Product Safety section of the Canada.ca website and a Notice of Decision will be sent to stakeholders. Following posting of the Hotlist update there will be a Compliance Promotion period when Health Canada will communicate final decision on Hotlist substances and respond to questions received. Health Canada will prioritise enforcement in response to complaints/incidents received. Efforts will be made to contact all notifiers who have previously submitted a Cosmetic Notification Form when a Notice to Stakeholders, Consultation or Final Hotlist is available. An email will also be sent through the Cosmetics Mailing List to all subscribers. · take appropriate corrective measures as soon as available safety information suggests the need for action (i.e. product may no longer be compliant with the FDA and the CR). When information becomes available to industry that a substance in a product may be harmful to the user, an appropriate review and corresponding safety assessment should be undertaken to determine any potential risks. Pending the outcomes of this review, appropriate risk mitigation measures can be considered, where appropriate, such as but not limited to, monitoring, reformulation, or removal of product from the market. Health Canada can take actions at any time to enforce the FDA and CR, regardless of whether a substance is described on the Hotlist. La présente a pour but de vous informer des substances que Santé Canada examine actuellement et qui pourraient être ajoutées à la Liste critique des ingrédients des cosmétiques (Liste critique). Nous vous invitons à fournir à Santé Canada tout renseignement relatif à l’innocuité ou tout autre point à considérer concernant ces substances, au plus tard le 11 Août 2017. Veuillez noter que l’information dans le présent avis ne se retrouve pas dans la section des cosmétiques, sur la page internet canada.ca. Le site internet est en cours de révision et sera mis à jour dans les prochains mois. Pigment Red 4 : Il est envisagé d’ajouter le Pigment Red 4 (pigment rouge 4) à la liste des substances d’usage restreint en raison de préoccupations possibles pour la santé à des concentrations signalées précédemment, selon l’évaluation réalisée dans le cadre du Plan de gestion des produits chimiques (PGPC) du gouvernement du Canada en vertu de la Loi canadienne sur la protection de l’environnement, 1999 (LCPE, 1999). D’après les renseignements dont dispose Santé Canada, les concentrations utilisées actuellement dans les formulations de produits sont inférieures à la limite proposée de 3 %. 1. Chloramine-T : Il est envisagé d’apporter une modification afin d’ajouter des composés apparentés à cette entrée. Ces composés sont actuellement interdits sous l’entrée « Sulfonamides ».2. Oléandrine : Il est envisagé d’apporter une modification afin d’élargir cette entrée à Nerium oleander, à ses extraits et aux glycosides. 1. Acide borique : Il est envisagé d’apporter une modification à la restriction en raison de préoccupations pour la santé, selon l’évaluation réalisée dans le cadre du PGPC du gouvernement du Canada en vertu de la LCPE, 1999. Une interdiction dans les produits utilisés sur les muqueuses ou autour de celles-ci et dans les produits destinés aux enfants est proposée. Les mises en garde seront révisées en conséquence.2. Méthylisothiazolinone : En raison du risque de sensibilisation, il est envisagé d’interdire l’utilisation du méthylisothiazolinone dans les produits sans rinçage et de réduire la concentration maximale permise dans les produits à rincer à 0,0015 %, comme dans le cas de la restriction actuelle pour la combinaison de méthylisothiazolinone et de méthylchloroisothiazolinone.3. Méthylisothiazolinone/méthylchloroisothiazolinone, en combinaison : Il est envisagé d’apporter une modification à la restriction afin de préciser que le mélange de méthylchloroisothiazolinone et de méthylisothiazolinone ne peut pas être utilisé dans le même produit contenant du méthylisothiazolinone seul. En plus des modifications susmentionnées, plusieurs entrées seront modifiées afin d’inclure de nouveaux synonymes, les numéros de registre du Chemical Abstract Service Registry (CAS), ainsi que des corrections mineures. Le gouvernement du Canada tient résolument à donner au public canadien et aux intervenants l’occasion de participer à l’élaboration des initiatives réglementaires. Santé Canada vous invite à soumettre vos commentaires sur les modifications proposées à la Liste critique. Veuillez transmettre les renseignements, les données probantes et les commentaires au plus tard le 11 août 2017. Veuillez consulter la section Sécurité des produits de consommation du site Web de Canada.ca pour obtenir des renseignements à jour. Vous pouvez également vous abonner à la liste de diffusion des cosmétiques pour recevoir les plus récentes nouvelles et des renseignements sur les efforts déployés par Santé Canada dans le domaine des cosmétiques. La Liste critique est un outil administratif dont se sert Santé Canada pour informer les fabricants et autres intervenants que certaines substances, lorsqu’elles sont utilisées dans un cosmétique, sont susceptibles de nuire à la santé de l’utilisateur, ce qui contrevient a) à l’interdiction générale prévue à l’article 16 de la Loi sur les aliments et drogues (LAD) ou b) à une disposition du Règlement sur les cosmétiques (RC). De plus, la Liste critique permet d’indiquer que, lorsque certaines substances ne présentant aucune utilité connue dans la composition d’un cosmétique sont présentes dans un produit, il est peu probable que ce produit respecte la définition d’un cosmétique en vertu de la LAD. Les modifications proposées à la Liste critique sont présentées au besoin. La dernière mise à jour de la Liste critique remonte à décembre 2015. Des conclusions sont tirées en fonction du poids des données probantes. Les mises à jour tiennent compte des renseignements recueillis dans le cadre d’un examen des revues scientifiques reconnues et autres données probantes de nature scientifique, des décisions rendues dans le cadre du PGPC, des données tirées d’études de marché, de même que d’autres mesures, opinions ou décisions prises par des homologues internationaux et des groupes d’experts, etc. 1. Avis aux intervenants : Cet avis fournit des renseignements sur les substances que Santé Canada est en train d’examiner et qui pourraient être ajoutées à la Liste critique lors de la prochaine mise à jour. Cet avis de consultation préalable sera envoyé aux intervenants environ trois mois avant la consultation sur les modifications proposées à la Liste critique (voir ci-dessous). Pendant ce temps, les intervenants seront invités à fournir à Santé Canada tout renseignement relatif à l’innocuité ou tout autre point à considérer concernant les substances proposées. 2. Consultation : Les mises à jour proposées à la Liste critique seront affichées sur le site Web de Santé Canada. La rétroaction des intervenants de l’extérieur sera sollicitée au cours de la période de commentaires de 60 jours. Le document de consultation pourrait inclure des renseignements sur des limites de concentration précises (le cas échéant), le libellé proposé des mises en garde sur les étiquettes (le cas échéant) ou une proposition visant à interdire la substance (complètement ou pour une certaine catégorie de produits). Avant la publication de la version définitive révisée de la Liste critique, Santé Canada répondra aux commentaires reçus durant la période de consultation. 3. Avis de décision et mise à jour de la Liste critique : Environ cinq mois après la fin de la période de consultation, la version définitive révisée de la Liste critique sera affichée sur la section Sécurité des produits de consommation du site Web de Canada.ca et un avis de décision sera envoyé aux intervenants. La publication de la mise à jour de la Liste critique sur le site Web sera suivie d’une période de promotion de la conformité au cours de laquelle Santé Canada communiquera une décision définitive relativement aux substances inscrites sur la Liste critique et répondra aux questions reçues. Santé Canada accordera la priorité à l’application de la loi en réponse aux plaintes/incidents reçus. Des efforts seront déployés pour communiquer avec tous les déclarants qui ont déjà présenté un Formulaire de déclaration des cosmétiques lorsqu’un avis aux intervenants, un document de consultation ou une Liste critique définitive est disponible. Un courriel sera également transmis à tous les intervenants abonnés à la liste de diffusion des cosmétiques. · d’appliquer des mesures correctives appropriées dès que des renseignements disponibles sur l’innocuité semblent indiquer la nécessité de prendre des mesures (c.-à-d. que le produit n’est peut-être plus conforme à la LAD ou au RC). Lorsque l’industrie dispose des renseignements selon lesquels une substance dans un produit peut être dangereuse pour l’utilisateur, elle doit procéder à un examen approprié et à une évaluation correspondante de l’innocuité en vue de déterminer les risques possibles. En attendant les résultats de cet examen, la mise en place de mesures appropriées d’atténuation des risques peut être envisagée, au besoin, notamment la surveillance, la modification de la formule du produit ou le retrait du produit du marché. En tout temps, Santé Canada peut prendre des mesures pour appliquer la LAD et le RC, qu’une substance soit inscrite ou non sur la Liste critique. The Handcrafted Bath and Body Guild is giving you something to celebrate! July 1, 2016 ONLY All Casual Crafter Memberships are 50% off! https://hbbg.ca/wp-content/uploads/2016/07/canada-day-flag.jpg 220 331 Amy Garrett https://hbbg.ca/wp-content/uploads/2016/03/hbbg-logo2.jpg Amy Garrett2016-07-01 06:36:302016-07-01 06:38:56Happy Canada Day! The Handcrafted Bath & Body Guild is pleased to announce that Modern Soapmaking has joined as a Vendor Member, and HBBG members can snag 15% off any Modern Soapmaking ebook, workbook, or workshop! 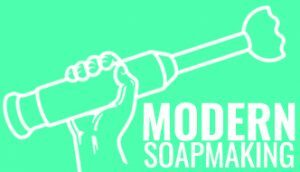 Modern Soapmaking is a proverbial online playground for soapmakers, by soapmakers, featuring tutorials, recipes, resources, business advice, digital books, online and offline workshops, mentorship programs and more. There’s help for ALL soapmakers, from the beginner to the hobbyist to the soap biz owner. Not a member? Join now and save with The Bath Bomb Press, plus other suppliers, and have access to our low cost, industry best insurance policy! https://hbbg.ca/wp-content/uploads/2016/03/hbbg-logo2.jpg 0 0 Amy Garrett https://hbbg.ca/wp-content/uploads/2016/03/hbbg-logo2.jpg Amy Garrett2016-06-26 09:02:482016-06-26 09:05:54Welcome Modern Soapmaking! The Handcrafted Bath & Body Guild is pleased to announce that The Bath Bomb Press has joined as a Vendor Member. They offer free shipping in Canada! 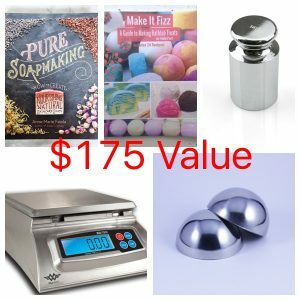 Their bath bomb press takes the worst of the manual labour out of making bath bombs, and with a variety of shapes, it is a great tool for any crafter serious about bath bombs. Not a member? Join now and save with The Bath Bomb Press, plus other suppliers, and have access to our industry best insurance policy! The Handcrafted Bath & Body Guild is happy to announce that Soap and More has joined us as a Vendor Member and is offering members 5% off their purchases, plus 15% off workshop registrations. They offer a wide variety of ingredients and supplies, plus “how to make it” workshops, which they offer in person, or the instructions and recipes by email if you’re not able to attend in person! Not a member? Join now and save with Soap and More, plus other suppliers, and have access to our industry best insurance policy! The Handcrafted Bath & Body Guild is happy to announce that Soapmaker Software has joined us as a Vendor Member. Members receive 10% off their purchase of the Professional Edition. Not a member? Join now and save with Soapmaker, plus other suppliers, and have access to our industry best insurance policy! https://hbbg.ca/wp-content/uploads/2016/03/hbbg-logo2.jpg 0 0 Amy Garrett https://hbbg.ca/wp-content/uploads/2016/03/hbbg-logo2.jpg Amy Garrett2016-06-08 22:22:332016-06-20 22:27:23Welcome Soapmaker Software! When the dog bites, when the bee stings….When I’m feeling sad….. I make soap, think about soap, or shop for soap supplies. Well, most of us do, so you all understand! The Board and I came up with some of our favourite things from each of our Vendor members. I make a Silk & Shea Butter soap for my unscented line, and Baraka Shea Butter is my go-to Shea Butter. I make a whipped body butter with it too and everyone loves it. They offer Organic Shea Butter too. Marg recommends Voyageur Soap & Candle Co for the best Coconut Fragrance Oil. Island Coconut is pure coconut, no fruity tones. They also have a 100% pure olive oil liquid castile soap (possibly the only one available in Canada), which comes in ready to use or paste. I love their Aloe Vera Extract Powder. A tiny bit goes a very long way and it’s wonderful in soap, lotions, etc – anything you want to use Aloe in. YellowBee is the only Canadian supplier for Sustainable Packaging’s Clamshell GreenKraft packaging. The come in various sizes, starting at 4″, perfect for a bar of soap or a few lip balms. These are wonderful for giving your soap a fully protective package, while retaining your soap’s all (or mostly) natural feel. Environmentally friendly and cost effective. Louise recommends New Directions Aromatics‘ Melt & Pour Soap Bases. Take a look at basic white or clear bases (both rates 4.8 out of 5 stars), but don’t miss their SLS free base (rated 4.6 out of 5 starts) too. Mad Oils has so many favourites we love, but we’re going to recommend their new Elderflower Fragrance Oil this time. A perfect spring and summer fragrance, or a lovely winter pick me up! If you haven’t heard the grand news, Soapmaker has joined the Handcrafted Bath & Body Guild and we’re thrilled! We love the program and are so pleased to have them join us! They’re offering members a 10% discount off the Profession Edition of the software. What are your favourites from our Vendor Members? The Handcrafted Bath & Body Guild is proud to welcome Mad Oils, a US supplier based in Florida, as a Vendor Member. They are offering HBBG members 10% off their orders of $40 or more. Mad Oils has a full selection of unique fragrance oils, essential oils, colourants, and additives for the soap maker. Joanna, the CEO of Mad Oils, also runs The Soap Bar Soap Blog, which offers lots of tips and techniques and information for everyone from new to experienced at soapmaking. Not a member? Join now and save with Mad Oils, plus other suppliers, and have access to our industry best insurance policy! https://hbbg.ca/wp-content/uploads/2016/03/hbbg-logo2.jpg 0 0 Amy Garrett https://hbbg.ca/wp-content/uploads/2016/03/hbbg-logo2.jpg Amy Garrett2016-05-05 20:32:192016-06-20 20:51:11Welcome Mad Oils! The Handcrafted Bath & Body Guild is pleased to announced our newest Vendor Member, New Directions Aromatics. They offer an enormous selection of ingredients, supplies, and read to use products, for every type of bath and body handcrafter. HBBG members save an additional 5% off their orders. Not a member? Join now and save with New Directions Aromatics, plus other suppliers, and have access to our industry best insurance policy! https://hbbg.ca/wp-content/uploads/2016/03/hbbg-logo2.jpg 0 0 Amy Garrett https://hbbg.ca/wp-content/uploads/2016/03/hbbg-logo2.jpg Amy Garrett2016-05-03 20:43:282016-06-20 20:50:35Welcome New Directions Aromatics!